Don’t miss out on this holiday favorite. 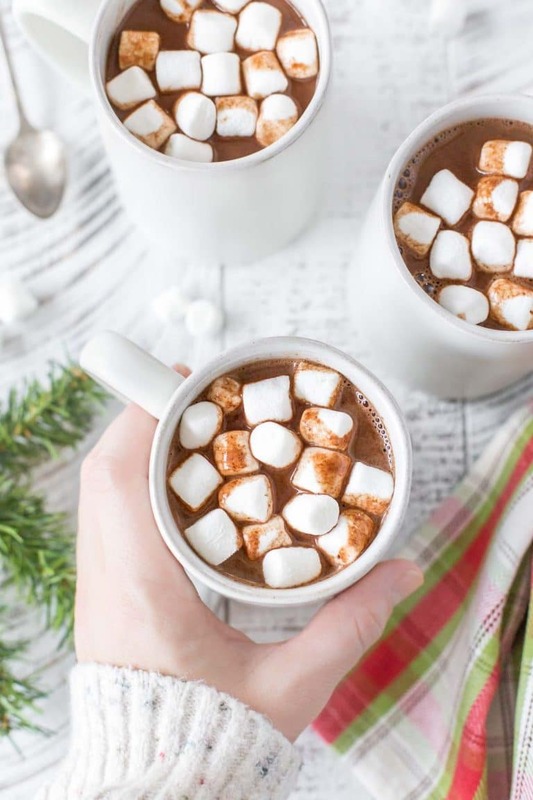 Make your own dairy free hot chocolate with just a few simple ingredients, and I promise you’ll like it even more than the store-bought stuff. Makes 2 servings (can easily be doubled). 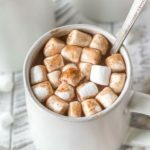 Does hot chocolate contain dairy? I think being dairy free around the holidays is the hardest. So much of our traditions and nostalgia come from our food culture, which so often contains dairy because that’s what we grew up with. 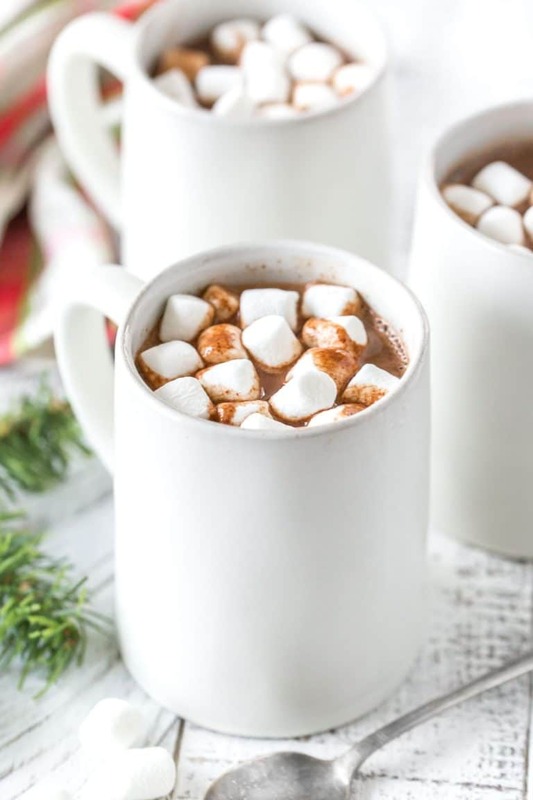 Hot chocolate is one of those holiday/winter traditions, but I’m here to tell you that you don’t have to. You can just make your own, and it really isn’t as hard as you think. It honestly takes just a couple more minutes than making hot chocolate from a mix. I promise. Plus, this hot chocolate pairs perfectly with my favorite Christmas treats – microwave fudge and Grinch cookies. Is there a dairy free hot chocolate? But, since we’re talking about mixes, I want you to know that there are options out there that don’t contain dairy. That means that you can still make it. You just need to use your favorite dairy free milk or even water to make it. I know water sounds weird, but honestly, when you make a K-cup hot chocolate that’s all it is anyway. 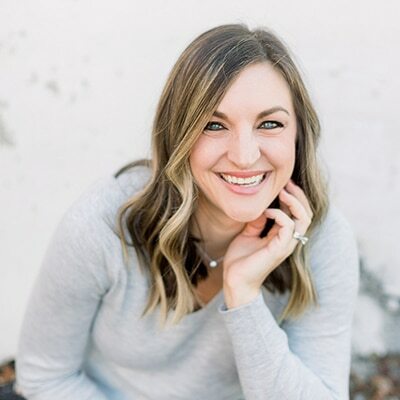 In case you really don’t want to make your own, here are a few brands I found that have safe choices: Brandless / Archer Farms / Brontie & Co. / Ghiradelli / Wildly Organic. Please always double check your ingredients lists in case any of these products have changed their formulas. 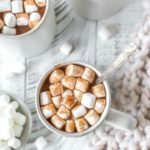 How do you make dairy free hot chocolate? Heat your milk. In a large saucepan, heat your choice of dairy free milk. I used mostly cashew with a bit of canned coconut milk for extra creaminess (I call this my dairy free half-and-half). Add the cocoa powder, sweetener and chocolate chips. I used my favorite local brand of chocolate chips, but you can use any dairy free chocolate you want (even if it’s in bar form). You can also use any sweetener you prefer. 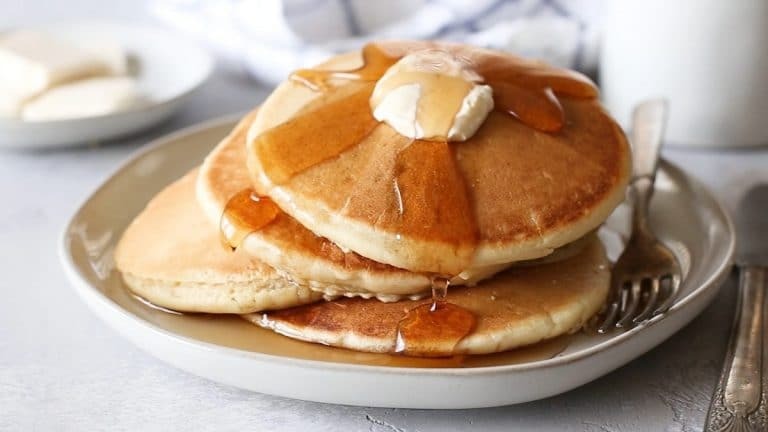 I used regular sugar, but you could use maple syrup, honey or even coconut sugar. Either way, whisk it all together and keep stirring until the chocolate chips have melted. Pour and garnish. 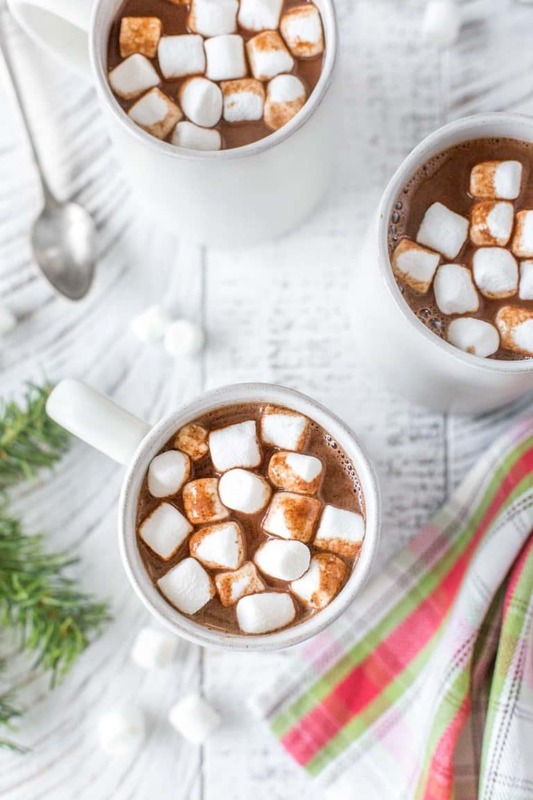 Serve you dairy free hot chocolate with mini marshmallows and a sprinkle of cinnamon. If you want to make this vegan or gluten free, just be sure to swap out the marshmallows for a friendly version. 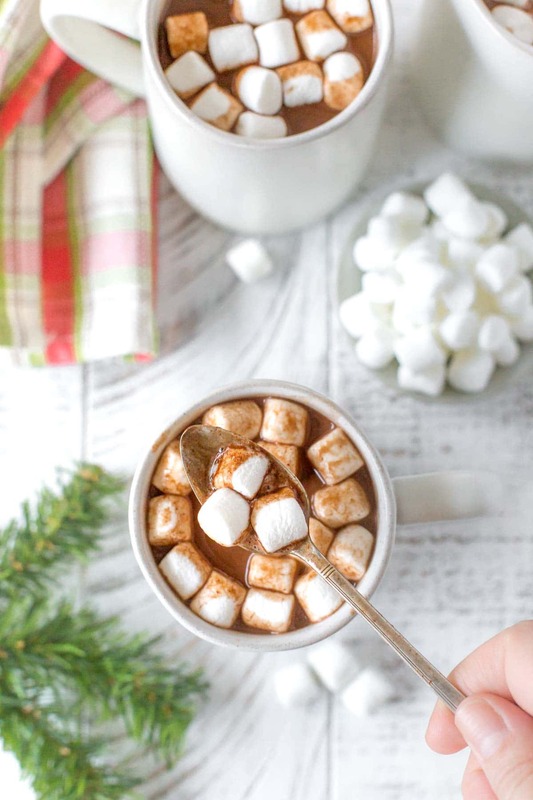 This easy dairy free hot chocolate recipe uses a mix of coconut and almond milk for creamy homemade cocoa perfect for the holidays. Vegan and paleo friendly! In a large saucepan, heat dairy free milk over medium heat. Add cocoa powder, sweetener, and chocolate chips. Whisk until chocolate chips have melted and everything is combined.